We've covered Windows 7 from rumor to golden master. Now—as we wait for its Oct. 22 arrival—it's enchilada time: Here's everything of value that we learned about Win 7, packed in a complete, easy-to-read guide. So much anticipation has led up to the arrival of Windows 7, aka The Redeemer. But does it live up to the hype? Here we pass judgment, and then, because we like you, we give you a super-quick tour of its best features and tips. Now that prices are announced and it's time to think about upgrading, here are all the different considerations you'll have to make. It's as smart a Windows upgrade as there ever was, but do your homework! Windows 7 is Microsoft's biggest user-interface overhaul since Windows 95. It's no surprise, then, that even Windows veterans could use a crash course on how to use it. Device Stage, the instant recognition of cameras, printers and other peripherals, is candy for the gadget-addicted, but knowing what works and what doesn't definitely matters. Music and movies—not only are they more important than they were when Vista came out, but they also come from more sources in more formats. Windows 7 attempts to master them all. Our favorite "10-foot" media software shows up in Windows 7 with loads of new features—if you haven't yet seen why Media Center makes even TiVo look dated, you better pay attention. When it comes to life online, there's no way to underestimate advances in networking and security. 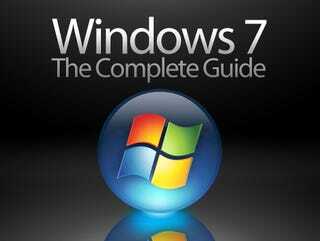 Windows 7 is full of them, and it pays to know what they are and how to use them. Windows 7 comes of age at a time when the keyboard and mouse are giving way to newer more instinctive controls—luckily, it's got many of those controls built right in. Bonus: Here's a first look at the fun Surface-like Windows 7 Touch Pack which may soon be available on all touch PCs. Even a good operating system can be bad once in a while. During the Beta test, we had our share of issues. Here's a discussion of many of the problems that can be solved, and a few that can't. Is there something missing, a discussion you were hoping to have but aren't seeing here? We want to be thorough, so let's have it. Go ahead and hit us up, either in direct emails or to our tips line, with the subject "Windows 7 Guide."